“A Star is Born” is something of a Hollywood institution, seemingly being remade for every generation. Yes, it seems that the timeless story of the perils of stardom: the rise and fall of a star never ceases to mesmerize. The obvious question to ask at the start of this review is ‘Why go and see A Star Is Born” for the fourth time?’ because, essentially, this film steers the same narrative path from previous instalments (often too closely). The answer is easy: her name is Lady Gaga. 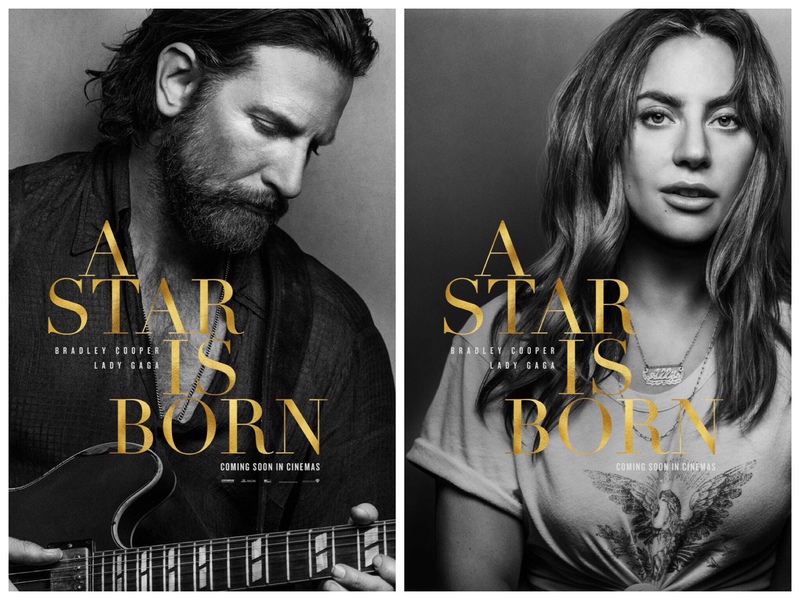 While Bradley Cooper (also directing) and Gaga share the star billing, the film works best when Cooper steps aside to allow his talented co-star to feature front and center in what could very well be one of the breakthrough performances of the year. The two actors apparently spent months building chemistry and a connection with each other and this approach bares fruit, with the two actors connecting perfectly over the course of the film. Cooper plays Jackson, a battered and substance abusing rock star who discovers Ally (Lady Gaga) performing in a drag bar one night. Her literally head-turning performance gets Jackson’s attention. From there they sit in a grocery store parking lot under bright fluorescent lights, talking about life and music until he coaxes out snippets of a song that she’s been working on and then suddenly, like magic, the spark between the two is lit. Yes, it’s the magic of movies, sure, but also of two people who are, in that moment, creatively sympatico, utterly enraptured with each other and with each other’s talents. From there the film takes literal flight with a beautiful transition that showcases the two touring the country, and unveiling their powerful duet “Shallow” which – no doubt – will take home the Oscar this year for Best Song. It’s an emotional ballad that packs just the right amount of tenderness to not seem out of place, and the two sing it with heart and soul. The film is electric in its first half, and Cooper creates some of the liveliest concert set pieces of the decade. However, it loses steam about the time Ally dyes her hair fuchsia. Is the character betraying her character’s authenticity, or is she demanding stardom on her own terms? Whichever applies, by this point the story has already sunk in its hooks and bit by bit reveals why it continues to engage directors, actors and audiences down the decades. At this point, it’s almost like Cooper is trying too hard to replicate the beats from his predecessors, and he doesn’t really extend the conversation further on mental illness. That said, Cooper is a director with hope and promise, and for the most part tries to stay out of the way – choosing to focus on character. Indeed, the notable thing about this reimagining of the oft-told Hollywood drama, is its authenticity amid the heady elements of its central characters. Gaga chooses to inhabit Ally with a disarming combination of innocence and assurance. She is endearingly natural, innocent, petulant, wary. She is real. So is Cooper, who carries rock star Jackson Maine’s tortured soul around like an old overweight Fender amplifier, and whose hearing is disappearing faster than he can drink. As the two careers take their respective trajectories, it becomes clear to Jackson that he has become his wife’s cross to bear. And after the inevitable public embarrassment that marks every version of the tale (the one here is particularly painful), he realizes he has to destroy himself to save her career. His sacrifice is noble. It is an act of love. But is it right? No, of course not. But isn’t that what has made the story so irresistible? The philosophical chewiness of the whole thing? Every iteration of this film portrays show business as callous, compromised, and as likely to cannibalize its own as to celebrate them. This film is no different, but perhaps is even more cynical than its predecessors, treating the pursuit of stardom with a noted level of disdain. This critique is most pointed in the scene where Jackson, who undoubtably loves Ally, drunkenly tells her she is an embarrassment—he is not jealous, like previous versions of the character; he is musically offended. Ally became a sensation because of her hooks and her heart and those are what she is losing on her way to the top. It’s in this scene, and others that the film becomes a tender, conflicted saga for the age of poptimism, seen through the (sometimes blurry) eyes of a character who has resigned himself to being left behind by it. It’s a film that invites people inside the bubble of stardom to help us understand the intense pressure that comes with having to perform – the biggest names often hide the most vulnerable souls.